We’have issue with Sales Invoice and Purchase Invoice UOM Conversion Factors. While changing uom in Sales/Purchase Invoice Item Price list rate is not getting update. Can anyone please explain about why it’s not converting price list rate as uom conversion factor? 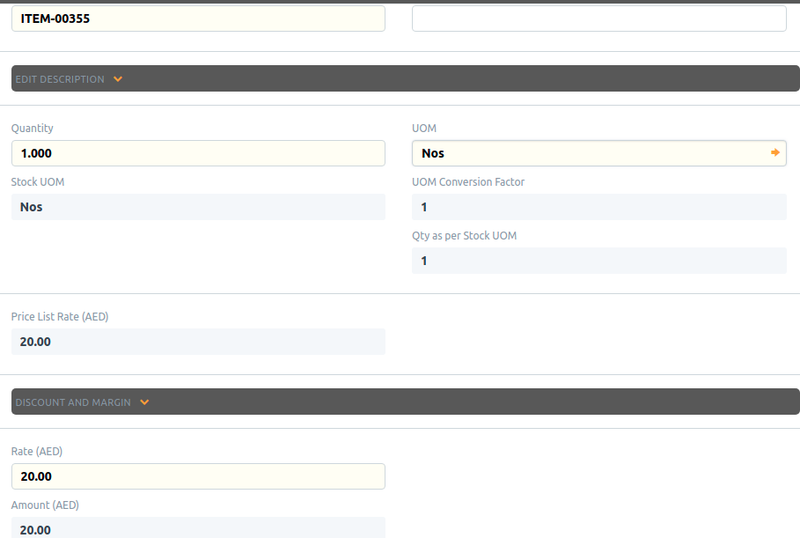 The item 0001 have two UOM’s(with default BOX stock uom). and item amount should be 3.3*3 = 9.9. But it’s always showing 33.0 as price list rate for UOM Unit. If there is change in V11 for UOM Conversion factor then May I know, why? I’m having this issue as well after updating to v11. This extends to BOMs as well on my end; even submitted BOMS had rates for items using non-default UOMs updated to the rate for the default UOM, resulting in inaccurate costing. I have fixed this issue in a pull request https://github.com/frappe/erpnext/pull/16544. You can comment on the PR to give it more light.